It is definitely that season again! 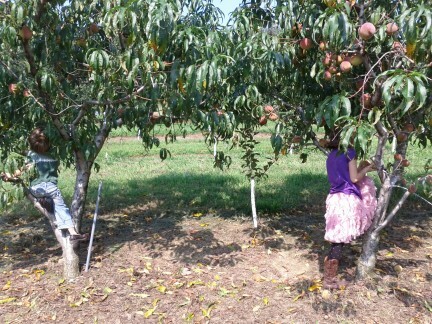 The kids and I headed out to one of our many local orchards yesterday and picked the heck out of some peaches and asian pears. So, today, guess what we’re doing? 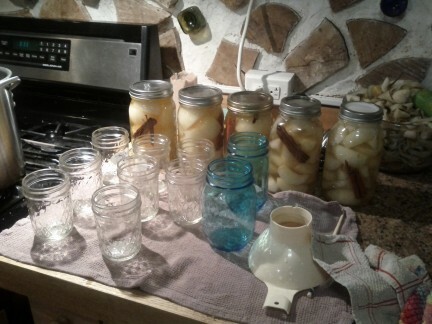 Spiced peaches, brandies peaches, peach cobbler… what else? 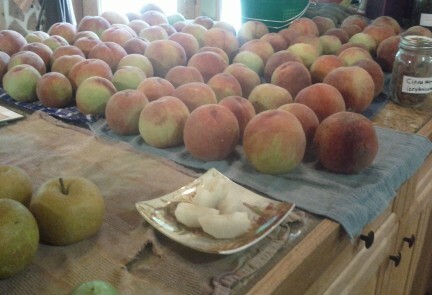 Anyone have a nice recipe for a peach shrub?? 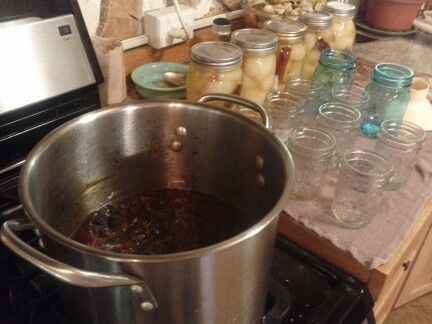 What have you been canning up lately? 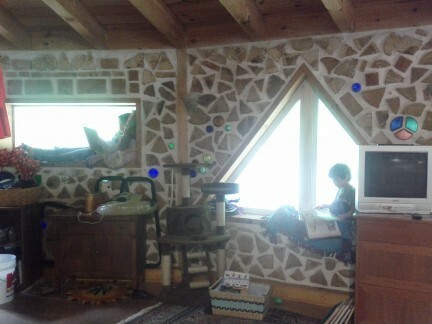 What a wonderful sight to discover both children absorbed in books!